Stannah Microlift – helping people make light work of moving things. 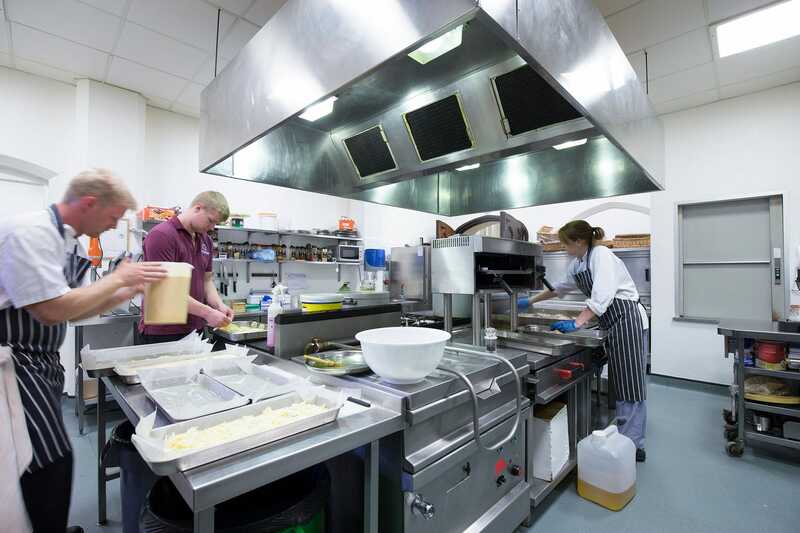 Often referred to as kitchen lifts, these little service lifts are ideal for a plethora of uses, from food lifts in small catering premises, pubs and restaurants all the way to dumbwaiters in offices and private homes. An invaluable necessity right across the UK – they even feature in many a grand home. 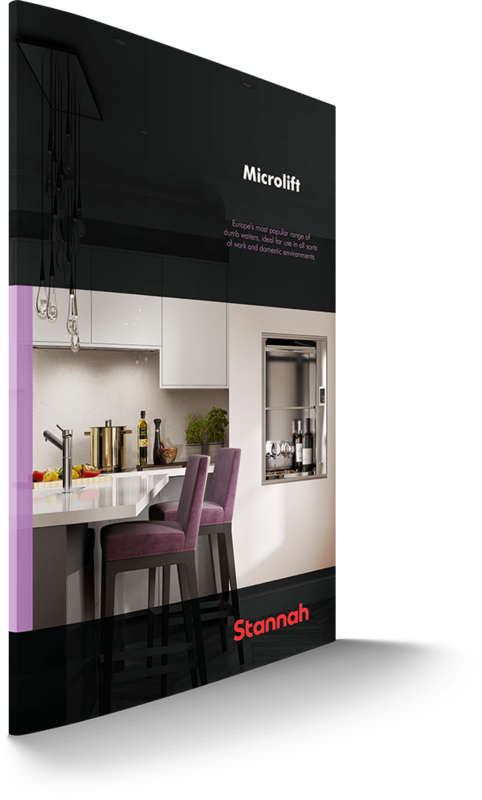 The Stannah Microlift range includes four 50kg & 100kg structure supported models, offering a wide choice of car sizes ‘off the shelf’ – if you’re not sure on the best option for your building, we can arrange a free site survey to discuss your requirements. Our experience and comprehensive dumbwaiter product range enables us to ensure that you receive the best advice and the perfect product, within your budget and with that special Stannah ingredient – personal service. A lifetime of product support is available to you locally via our national network of lift service engineers. Simply put, we aim to make your life easier with a seamless service from order to installation and beyond. If you have an existing dumb waiter, we can provide removal or replacement services, ensuring your kitchen, building or home isn’t without an invaluable service lift for long. From the smallest document or bottle of wine to a heavy trolley or beer barrel, a Microlift makes life easier in homes and workplaces alike. * Single-phase power supply is possible, but lifts using this cannot be upgraded in terms their capacity. Scroll down to see our essential planning tools. We’ve installed over 20,000 Microlifts with some of the first still going 40 years on – so we can guarantee our customers a reliable product, supported by regular service visits from expert local engineers. Installing a Stannah Microlift will reduce the risk of injury that comes with manual handling. Whether you are a restaurateur or homeowner, injuries caused by unnecessary manual handling will ultimately cost you money and/or staff. Our Microlifts are structure-supported, quick and easy to install, whilst causing minimal disruption. Installation takes just one to two days on a two-floor lift and our engineers will return for a second visit, which will include the testing, commissioning of the lift and training in its safe operation. From start to finish our dedicated team will be beside you. Once in service your Microlift can be maintained in tip-top condition day in, day out, by our dedicated engineers. Stannah Lifts has supplied and installed (and will maintain) 36 lift products in Imperial Green in Hythe, a peaceful, coastal market town on the fringe of Romney Marsh. What better way to celebrate Stannah Microlifts' 40th Anniversary than to track down its longest-serving dumb waiter? A Stannah Microlift 50B bottom drive service lift (dumbwaiter) has updated service in the Mermaid Street Café. A Stannah Microlift 50kg combination through-car was choice for the movement of food aboard this Irish Navy vessel.